First Timer to the Outer Banks? 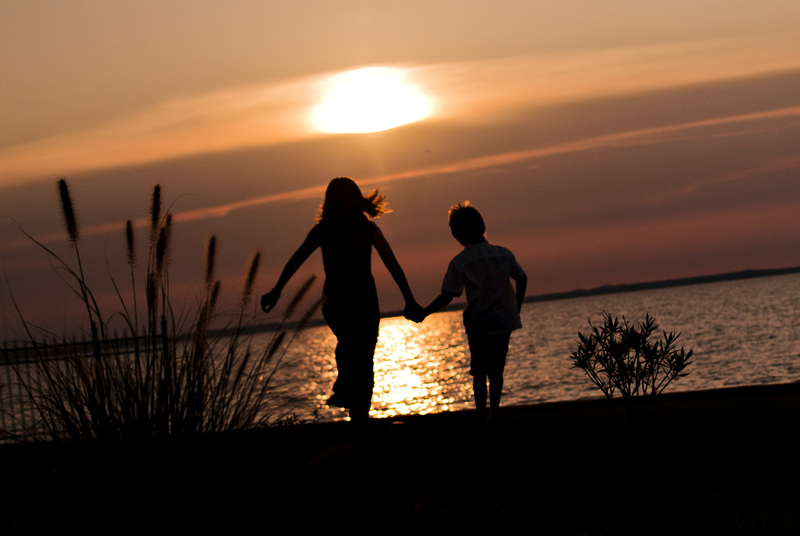 Here’s some great tips for your first visit. 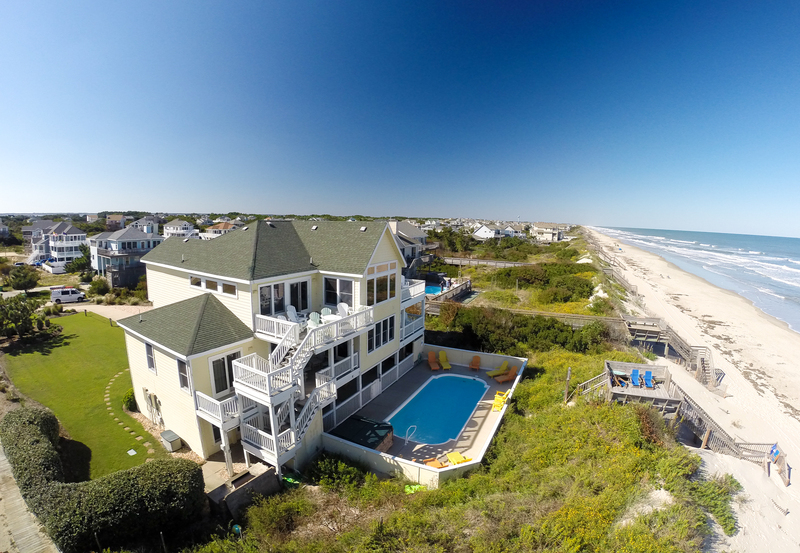 The great majority of visitors to the Outer Banks stay in a vacation rental. There are thousands to choose from ranging in size from 2- 26 bedrooms! Most vacation rentals are managed by property managers that offer full-services and are available 24 hours/day. I suggest renting through Beach Realty & Construction / Kitty Hawk Rentals or call 800.635.1559. I know sometimes you can only get away for a weekend, but I suggest staying a full week at the Outer Banks for several reasons. 1. There are so many things to see and do that a few nights is not long enough. 2. Most vacation rental homes rent by the full week only and you limit your selection if you stay less than one week. There are many awesome restaurants on the Outer Banks, almost all of them you’ve never heard of because they don’t exist anywhere but here. There are many that are “touristy” and rely on heavy marketing to get the crowds in the doors and there are many others that don’t have to do any marketing because they are filled year-round with hungry locals and visitors that can’t wait to chow down on their all-time favorite dish. There are a few must-try places on my list which includes Johns Drive in, Black Pelican, Roadhouse Café, Blue Moon Grill. What I love is that this island is so narrow that you can literally walk from Ocean to Sound in just minutes in most places. Wake up early one day and watch the sun rise over the ocean and end the day with a stroll over to the soundfront to watch the sun set. Jockeys Ridge – tallest natural sand dune in the Eastern US. Kids will love running or rolling down the dunes. Bring the camera! Lighthouses – there are 5. I recommend the Currituck Light in Corolla. The view from the top is phenomenal (Currituck Light, Bodie Island, Marsh’s Light, Cape Hatteras & Ocracoke). Roanoke Island Attractions – Spend a day at Roanoke Island and visit the NC Aquarium, Elizabethan Gardens, Roanoke Festival Park, Elizabeth II, Marshes Lighthouse and catch a performance of the Lost Colony. You may also want to stroll the streets of downtown Manteo and patron it’s shops and restaurants. Whalehead Club in Corolla – On the same property as the Currituck Lighthouse and the Outer Banks Center for Wildlife Education, the Whalehead club offers a picturesque landscape and daily tours and programs. If possible, drive a 4×4 vehicle on Carova Beaches. The Outer Banks is one of few destinations that you are allowed to drive on the beach (some towns only allow it in the off-season and others require a permit). If you have a 4×4 vehicle, I highly recommend a day in Carova Beach (there are no roads here and beach driving is allowed year-round, no permit necessary). 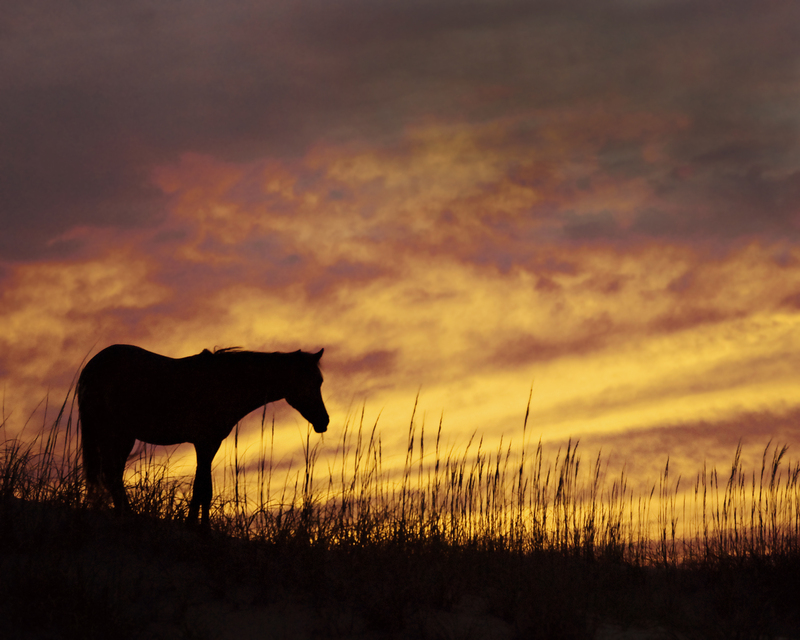 Carova Beach is home to hundreds of wild horses that roam the beach, dunes and grassy fields. As I said, there are no roads in Carova Beach so beach driving is required. You can park and spend a day on the beach, just make sure you stock up on essentials prior, because there are no stores either. You may also consider renting a home in Carova Beach if you truly want to get away from it all. Depending on what time of year you come and the way the wind is blowing, the water temperature can fluctuate dramatically on the Outer Banks from day to day, sometimes even morning to afternoon. Don’t assume that because the water was 55 degrees on Monday that it won’t be 70 degrees on Tuesday – it is definitely possible. Don’t worry about getting lost – I mention earlier that the Outer Banks is narrow. There is really only one main road and it goes north and south. From Kitty Hawk – Nags Head there is also a 4 lane bypass, but north or south of these towns there is just one main road, you might have heard of it – Rt. 12? Locals and seasoned visitors use mileposts to get around. Mileposts are visible, green mile markers on the side of the road which we use to give directions. For example, Where’s Jockey’s Ridge State Park? Head South on the bypass to Milepost 12. Are you ready to go to the Outer Banks? Start your vacation rental search online. 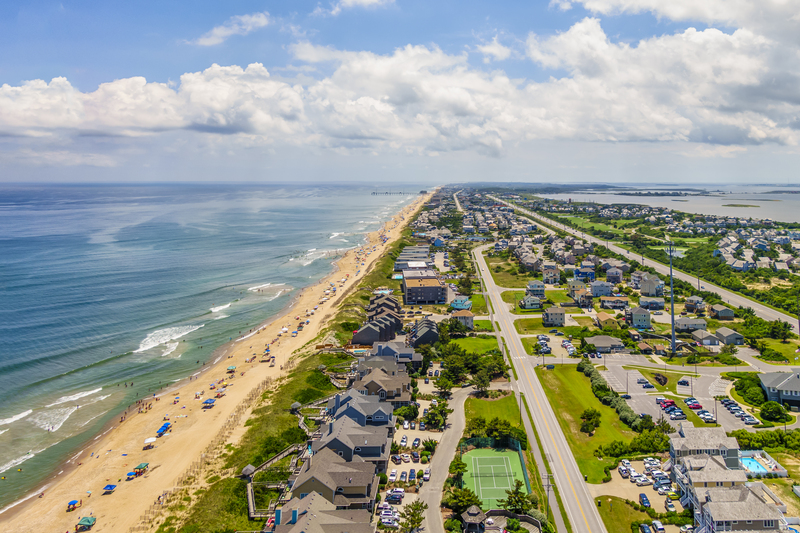 While thousands of families have been traveling to the Outer Banks for generations, there are far too many families that have never even heard of the Outer Banks – even from our own state of North Carolina. Many of us who live and vacation on the Outer Banks are faced with the dilemma of whether to spread the word or keep our paradise a secret. My first visit was full of surprises. I wondered… Where are all the chain restaurants? Where are the high-rise hotels? Where is “the boardwalk” or “the strip”? “Where do people sleep?” I was expecting something like Myrtle Beach. I quickly discovered that the Outer Banks is nothing like other beach towns, in fact the Outer Banks is quite different from any destination I have ever been. I fell in love with the unique, local, laid back culture of the Outer Banks. 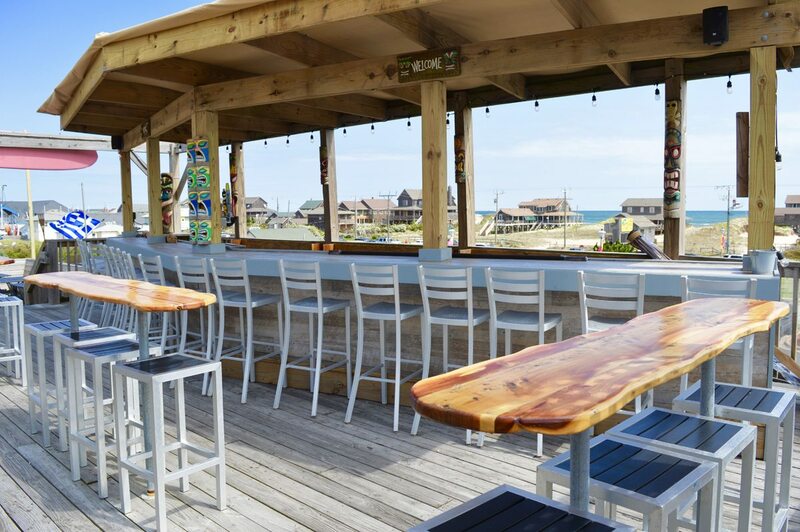 What's New on the Outer Banks for 2019?